If you are a member of the military, you can get a discount on a bail bond when you call 866-736-6977 . Are you a member of the military, currently trying to bail a friend or family member out of jail? If so, then Apple Valley Bail Bonds has a deal for you. You have done a lot for your country, and it is time someone helped you out with your current mission. We know how expensive bail can be for some people, which is why we offer a 20% discount for qualified co-signers. 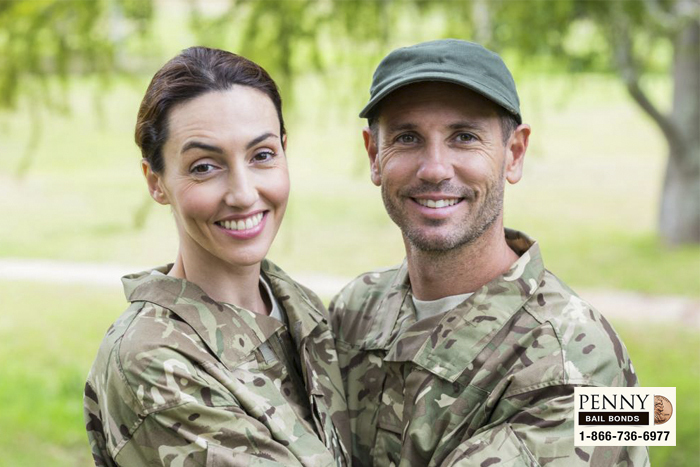 If you, or another co-signer, are a member of the military, then we can offer you 20% off the price of your loved one’s bail bond. This means that instead of paying 10% of the bail, you only have to pay 8%. Other ways to qualify for the discount include being a member of AARP, a union member, a homeowner, or having a private attorney. If you, or one of your co-signers, meet one of those requirements, then paying for your loved one’s bail bond can be a whole lot easier, especially if you work with Apple Valley Bail Bonds. Our bail agents can not only offer you this discount, they can work with you to create a customized payment plan to fit your budget. We do what we can to make paying for a bail bond more affordable for all of our clients. If you are a member of the military and trying to bail a friend or family member out of jail, please call 866-736-6977 or click Chat With Us now to speak with a professional from Apple Valley Bail Bonds.